These presentation slides 35842 are complete compatible with Google Slides. Simple download PPTX and open the template in Google Slides. Overlapping Petals Diagram will gives your audience visual info regarding marketing achievements, market share, financial data, etc. 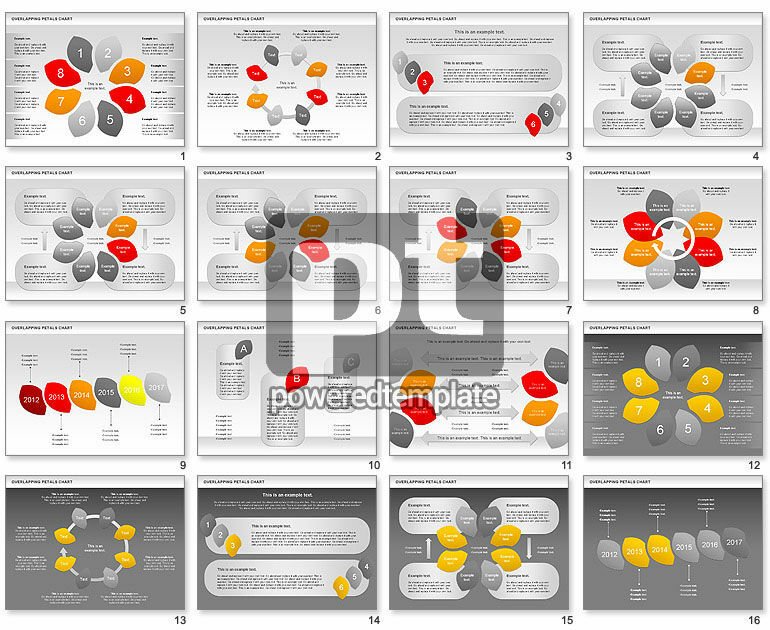 Could be used for presentations on marketing research, financial analytic, business, business analysis, etc.